Assuming everyone comes back healthy I'd stick with the same starting XI from Leicester. Rashford, Herrera & Fellaini off the bench if we need them. So would I. Did I see that right last night that Rashford had his leg strapped up on the bench? I think 2-0 Utd. Rashford and Lukaku. Yup, same side that started against Leicester. 3-1 Utd. Team: De Gea, Valencia, Bailly, Jones, Darmian, Matic, Pogba, Herrera, Mkhitaryan, Rashford, Lukaku. Subs: Romero, Blind, Smalling, Carrick, Mata, Lingard, Martial. A little surprised to see Mata out but he hasn't been playing that well and no surprise to see him for for the 3 in midfield away from home. Fellaini not even on the bench. Get in Pogba lad. Or Rashford? Bailly caught napping twice on that goal. 1-1 rashford. Pogba heads it on to Rashford who knew nothing about it. Been playing alright but very tough to create anything vs Stoke. Bailly was so lazy. Cost us. Our set pieces have been awful I know he's a big lad but surely Pogba must put in a better ball than these lads? 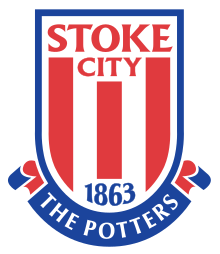 Been embarrassing today, I know Stoke are land of the giants but if you don't put a good ball in you've got no chance. First time we put it in first time we scored. 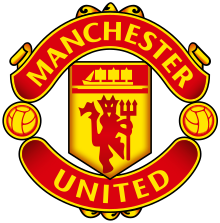 Darmian & Herrera poor first half, Darmian gives us nothing going forward and Herrera started very badly but improved as the 1/2 went on. How many times has Valencia got in and not delivered a decent cross? Diouf gets in once and puts in a Roberto Carlos delivery. Valencia's crossing has been fine today. He played a brilliant one two with Lukaku and stuck a rubbish cross in for Rashford. Pogba was standing free on the penalty spot. He's put in one or two poor crosses but he's also put in a couple of good crosses. What a save by De Gea! Crying out load. Poor by Jones. Not sure what we can do to change this one. Subs make sense but we have nothing down the left now. Feels like there is 1 more goal in this one could go either way.